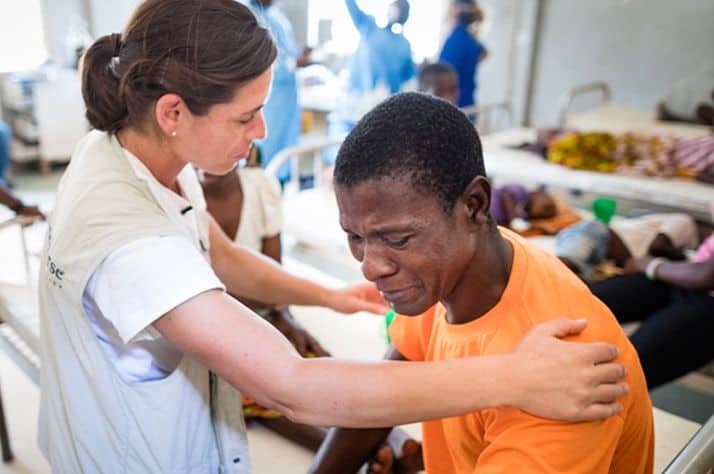 Nurse Kelly Sutor prays with patient Agusto Americo who was injured after Cyclone Idai ripped through Mozambique. 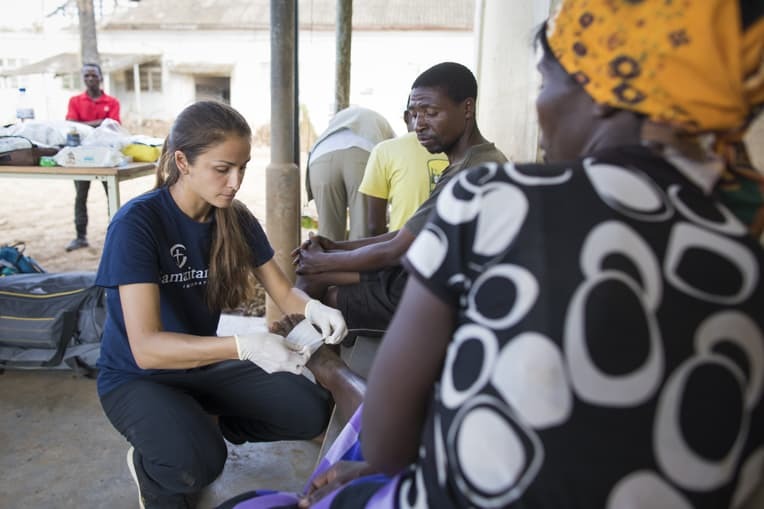 Samaritan's Purse is providing medical care where injury and infection are threatening isolated communities. 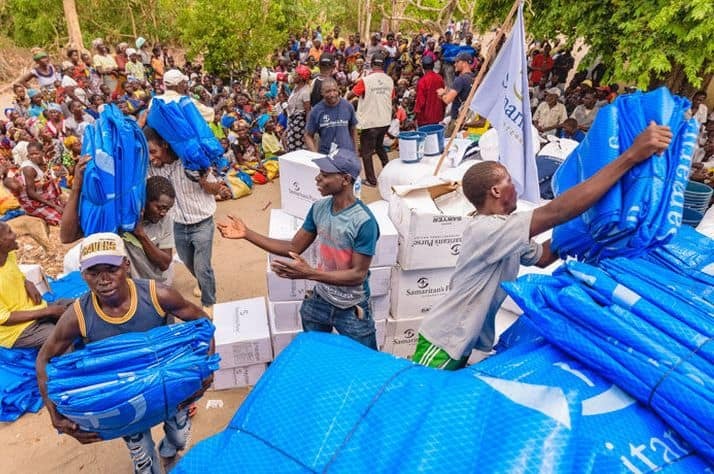 About three weeks after Cyclone Idai hit Mozambique, the situation on the ground is still dire. Catastrophic flooding and high winds left historic devastation across the east African nation. 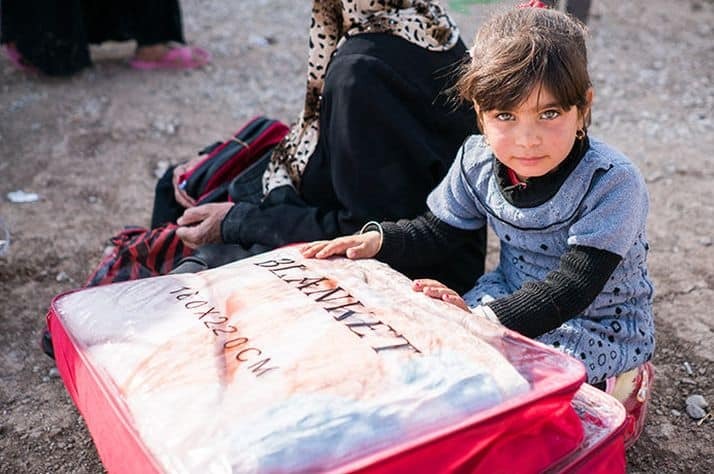 Tens of thousands of people remain displaced, food is scarce, clean water is limited, and reports of cholera and other water-borne illnesses are already making headlines. 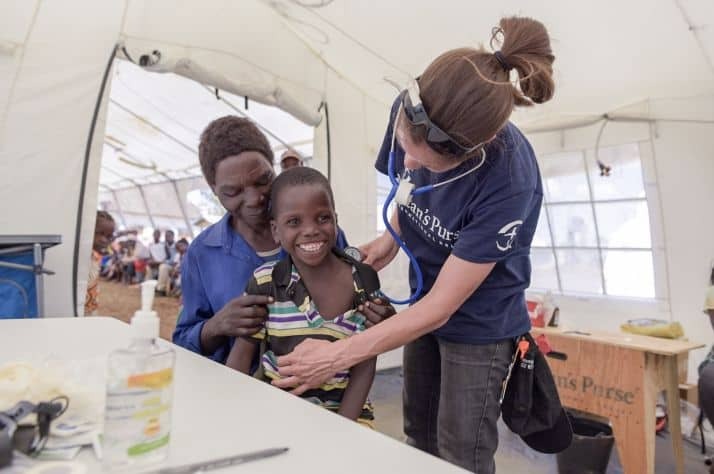 Samaritan’s Purse is setting up an Emergency Field Hospital in Buzi, Mozambique where Cyclone Idai caused severe damage and injury. 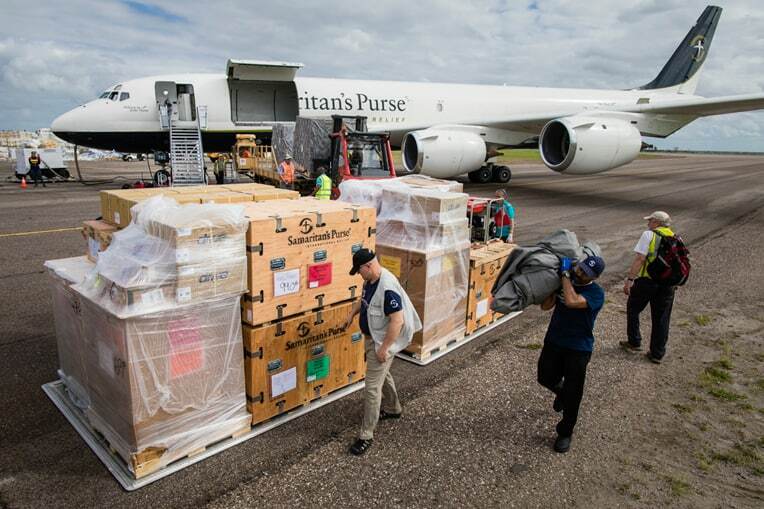 Samaritan’s Purse is on the ground in Buzi preparing to open an Emergency Field Hospital at the request of the Mozambique Ministry of Health. Our DC-8 plane arrived in country on Friday, March 29, carrying the materials for the hospital along with a community water filtration unit, nearly 2,000 jerry cans, and other critical supplies. 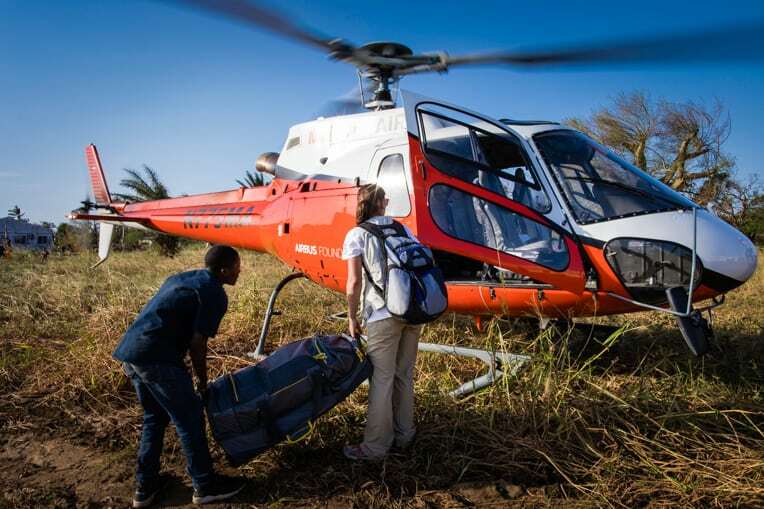 Our teams are airlifting medical supplies and equipment to areas cut off by flooding. 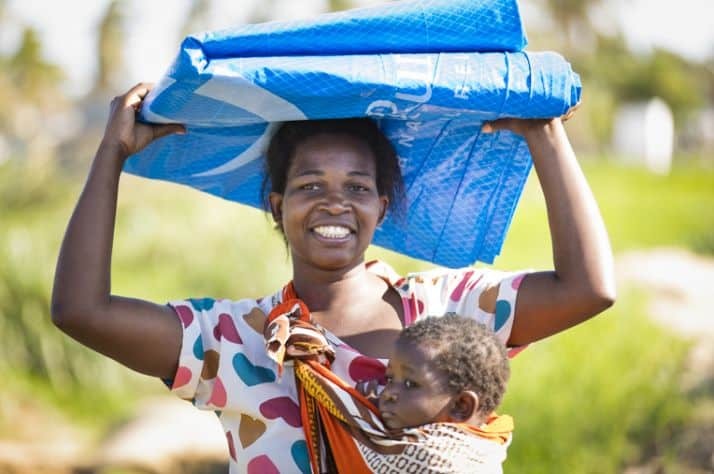 In addition to medical care, Samaritan’s Purse has distributed emergency shelter material to thousands of families, rehabilitated several wells, and will soon be distributing food parcels in coordination with the World Food Program.